With Deep Freeze Done, Temps Warming And Bites Heating Up! 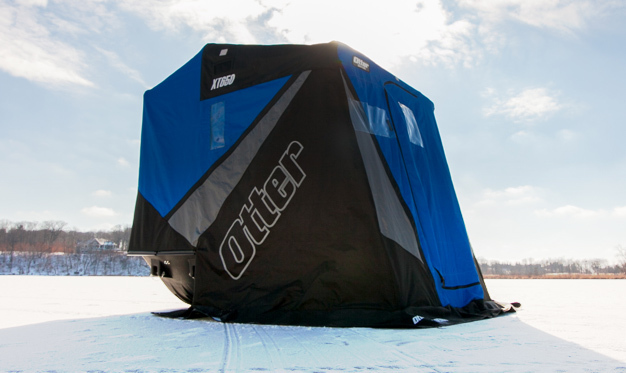 Stay Positive In Negative Temps – Fish In An Otter! 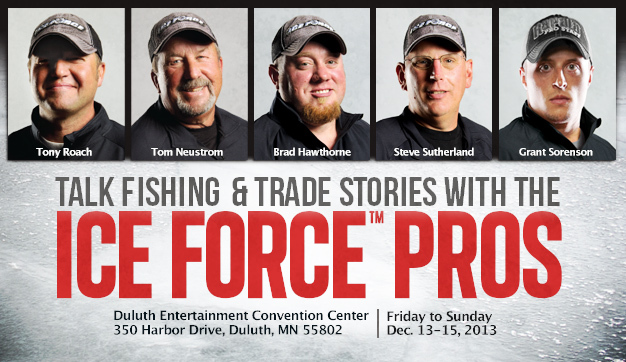 ICE FORCE pro-staffers will be talking fishing, trading stories and handing out free ICE FORCE decals and fish rulers (while supplies last) in booths 98 and 511 at the 21st annual St. Paul Ice Fishing and Winter Sports Show, Friday, Dec. 6 through Sunday, Dec. 8, at St. Paul RiverCentre in St. Paul, Minn. All of ICE FORCE will be deployed at the event, the largest ice-fishing expo in the country. 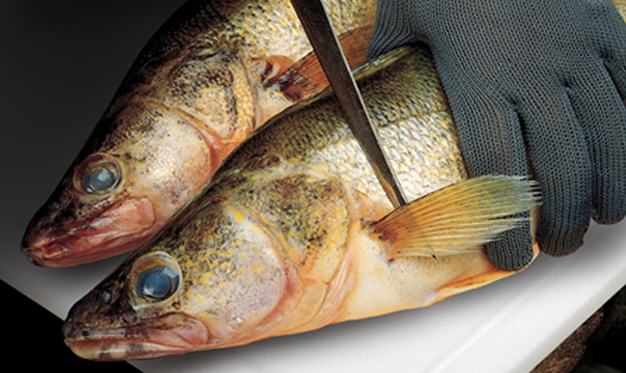 ICE FORCE pro-staffers enjoy the best reputations in the fishing industry. 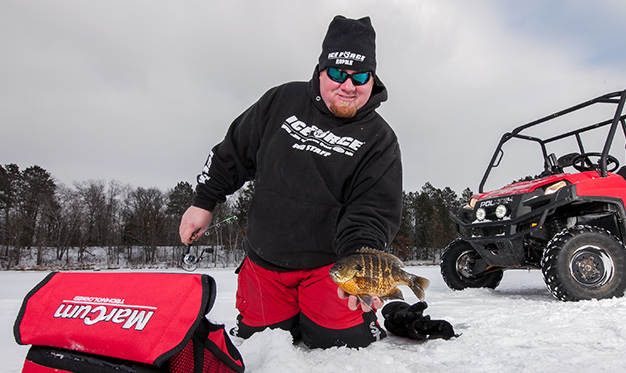 And no matter where you hail from in the Ice Belt, there’ll be an ICE FORCE pro-staffer at the St. Paul show that can offer fishing tips for your area. 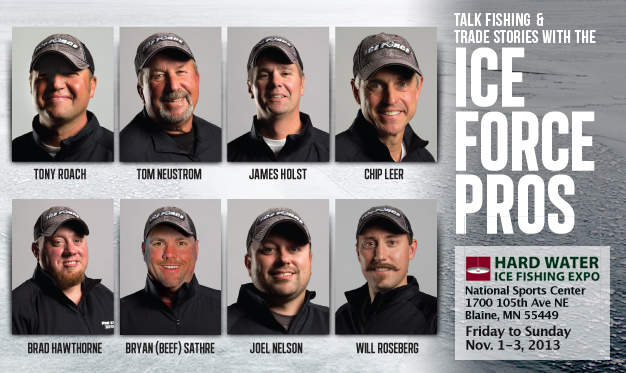 ICE FORCE pro-staffers that will be on hand to share tips and answer your questions about the gear they use to find and catch fish are Bryan “Beef” Sathre, Chip Leer, Brad Hawthorne, Tony Roach, Joel Nelson, Tony Boshold, Tom Neustrom, Steve Sutherland, Calvin Svihel, James Holst, Will Roseberg, Bryan Meyers and Brent Yeakey. 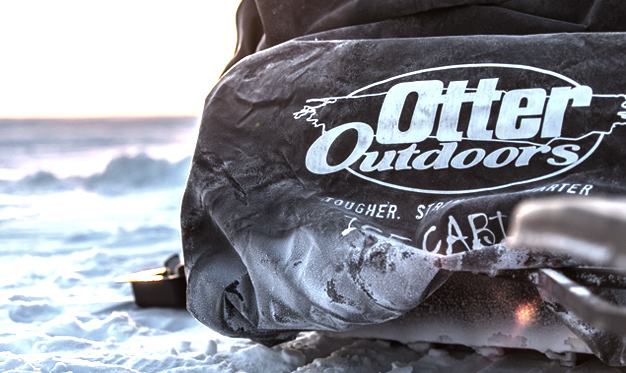 Instant redemptions will be available (while supplies last) at the ice expo for an ICE FORCE tackle pack and sweatshirt ($79.99 value) with qualifying StrikeMaster, Otter or MarCum purchase. And stop by booth 98 to get a free ICE FORCE pull tab for a chance to win great prizes! 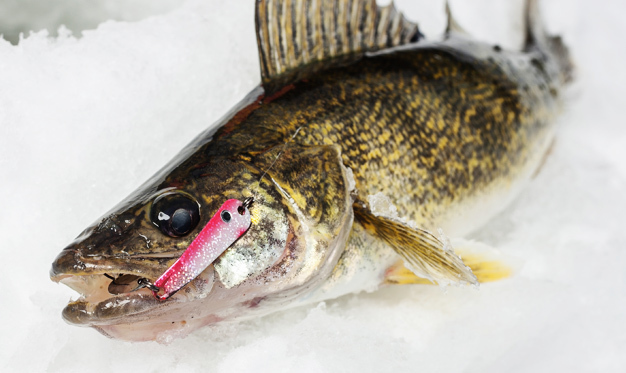 “Whether you are an avid fisherman looking for a few new accessories, an experienced angler in need of an upgrade, or totally new to the ice fishing scene, you will find what you are looking for at this show,” St. Paul Ice Fishing and Winter Sports Show promoters promise. 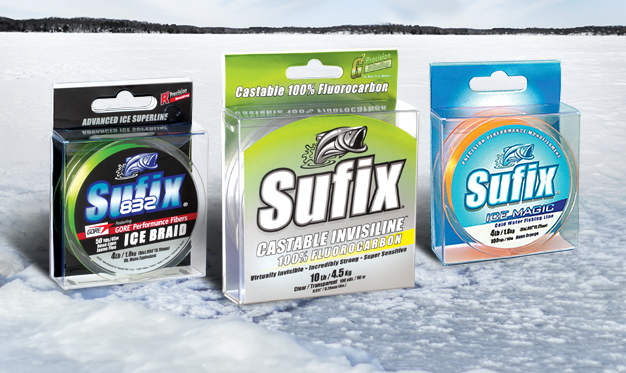 Purchase any five VMC ice jigs or five TriggerX ice soft plastics at the show and get a free ICE FORCE beanie hat ($15 value), while supplies last. And save big money on special sales in booth 511 on new ICE FORCE hardwater gear, including suits, gloves, hats and neck gaiters. Also back by popular demand will be sales on StrikeMaster ice suits. New ICE FORCE Lithium 12-volt batteries and chargers will be on sale in booth 511 as well. • Friday, Dec. 6 – 1 to 9 p.m.
• Saturday, Dec. 7 – 10 a.m. to 7 p.m.
• Sunday, Dec. 8 – 10 a.m. to 5 p.m. Admission to the St. Paul Winter Sports Show will cost $9 for adults and children older than 12 and $4 for children between the ages of 6 to 12. Children 5-years-old and younger will be admitted for free. See the Polaris snowmobile you can WIN! 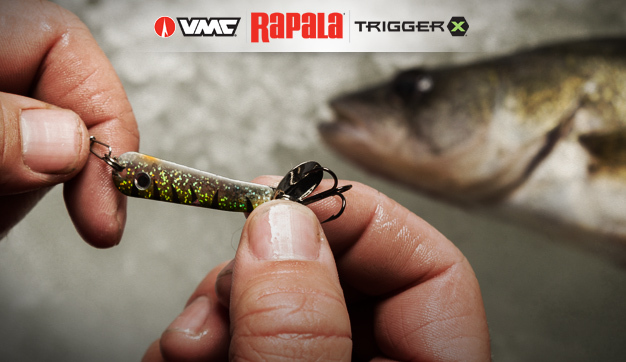 ICE FORCE comprises the ice-fishing industry’s premium brands, including legendary Minnesota-based Rapala, StrikeMaster, MarCum Technologies, Otter Outdoors, Sufix, VMC and Polaris, providing consumers and tackle dealers with a complete line of ice-fishing products, including augers, shelters, sleds, electronics, lures, line, accessories, snowmobiles and off-road vehicles.